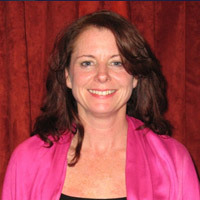 Elizabeth Grant received her MA in counseling in 2009 from Southwestern College in Santa Fe with a specialty in grief and trauma. Populations: Parents raising teens, young adults and adults. Practice focus and Modalities: Expertise resides in working with substance abuse issues, unresolved trauma, life transition, grief, depression, anxiety and relationship problems that inhibit life happiness. Elizabeth utilizes a cognitive behavioral model, mindfulness, somatic work, positive psychology and AEDP which is an attachment based model that is psychodynamic and experiential in nature.